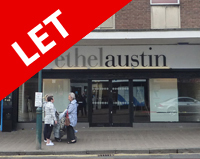 Ground floor shop unit with partial return frontage and upper floor staff and storage. The subjects were previously occupied for nearly 30 years by Greggs who have relocated nearby. 97.98 sq m (1,055 sq ft).